Paradirphia semirosea | Welcome, visitor! 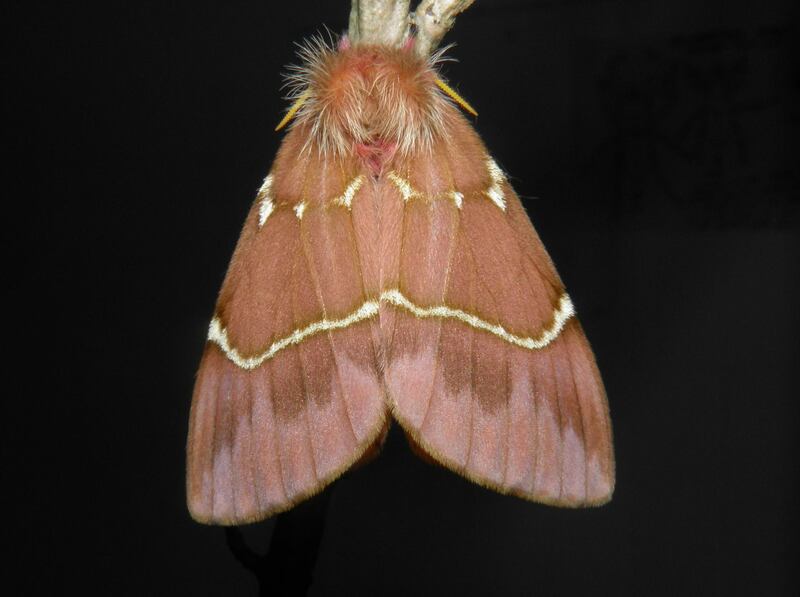 Paradirphia semirosea is a fluffy pink Saturniidae moth from Central America. When disturbed they will assume a threat pose and reveal their bright red abdomen with black stripes; a colour warning that may scare off some predators. From the soft pink colours to the creamy golden/white stripes on the wings, red legs and beautiful fluff on their back, it is a wonderful species to observe. It has been reported in Mexico, Costa Rica, Guatemala, Honduras and Nicaragua. Adults are only recorded from May to August in Chiapas, Mexico, suggesting that they have two generations a year. Adults of the first generation hatch around May and reproduce; the resulting offspring then matures and pupates, to hatch as adults once again. The second generation may be a partial brood. Recently, a lot of changes have been made to genus Paradirphia. A lot of populations with DNA that differ from the currently known species have been described as seperate species by two well known researchers. Luckily, Paradirphia semirosea as we know it has remained the same for the largest part, although some populations that were previously known as semirosea could now be considered different species. They seem to feed on Fabaceae such as Robinia en Gleditsia and oak (Quercus). Natural range: Central America – Mexico, Costa Rica, etc. Generations: Bivoltine – two generations and pupal diapause. 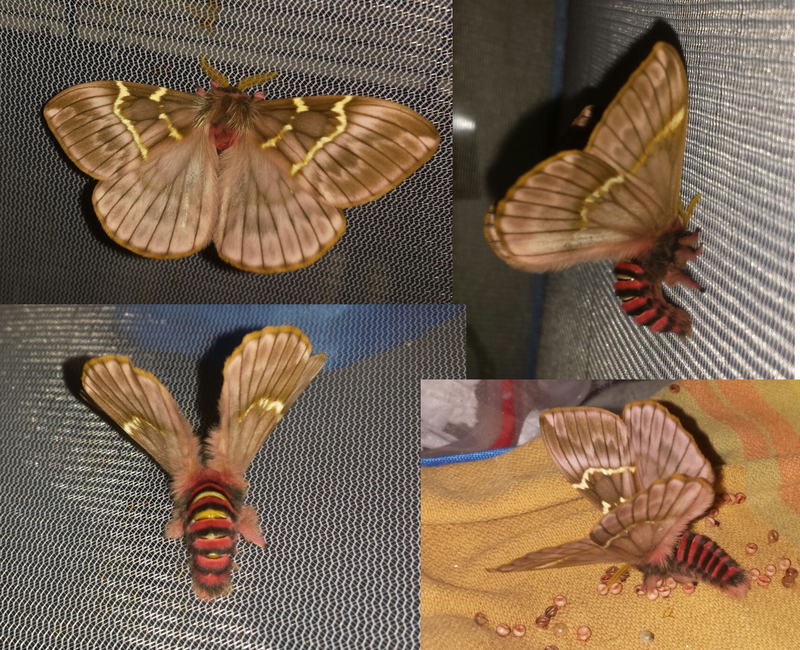 Special notes: The moths have a beautifully striped abdomen (red and black), that they can curl up and reveal as a warning to predators if disturbed. The threat pose of Paradirphia semirosea; curled up and revealing the bright red abdomen! 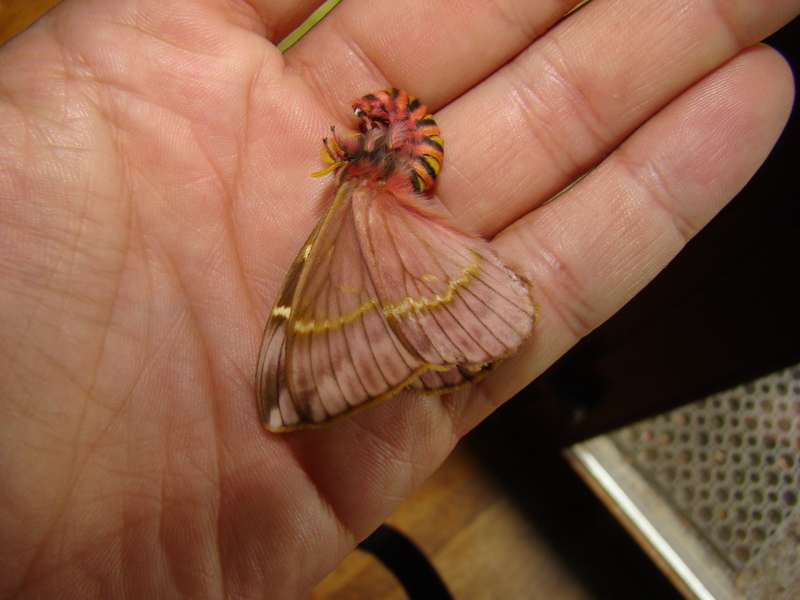 The good news is that Paradirphia semirosea is easily reared in captivity. The larvae are gregarious like many species of Hemileucinae, although in the final instar they become solitary and will need a little bit more space for themselves, although they still tolerate living in a high density of larvae. They do grow a little slowly, but that shouldn’t be a problem. Important is not to keep them wet. I reared them in plastic boxes though they should do even better in cages. The caterpillars are venomous like may other silkmoths in the Hemileucinae subfamily. 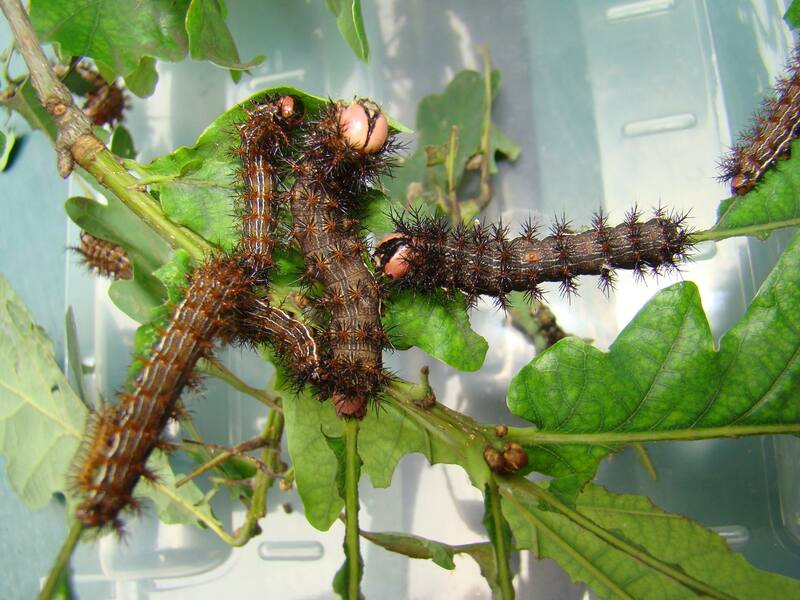 Eggs hatch in a few weeks and the young caterpillars will feed on Fabaceae or Fagaceae such as Robinia, Gleditisia or Fagus, Quercus – and will also accept some Rosaceae such as cherry (Prunus). They may be more polyphagous than we think. Like most Hemileucinae the larvae have urticating spines. The sting is not that bad though and is comparable to that of a common stinging nettle. It will make you uncomfortable for a few minutes, but it is tolerable, and not very painful. That being said the sting is worse than the average Automeris. It is not advised to excessively handle them especially if you are allergic or sensitive. 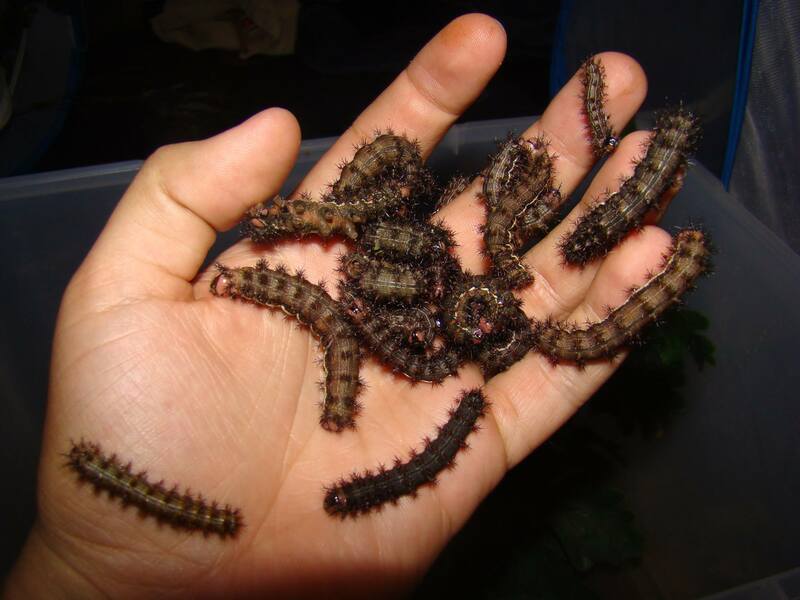 The young caterpillars of Paradirphia semirosea are gregarious – this means they travel, feed and shed skins in groups. They must be raised with a little bit of ventilation in mind, as they can become ill from a lack of ‘fresh’ air: best are cages or plastic boxes with the lid removed. The caterpillars have urticating spines. 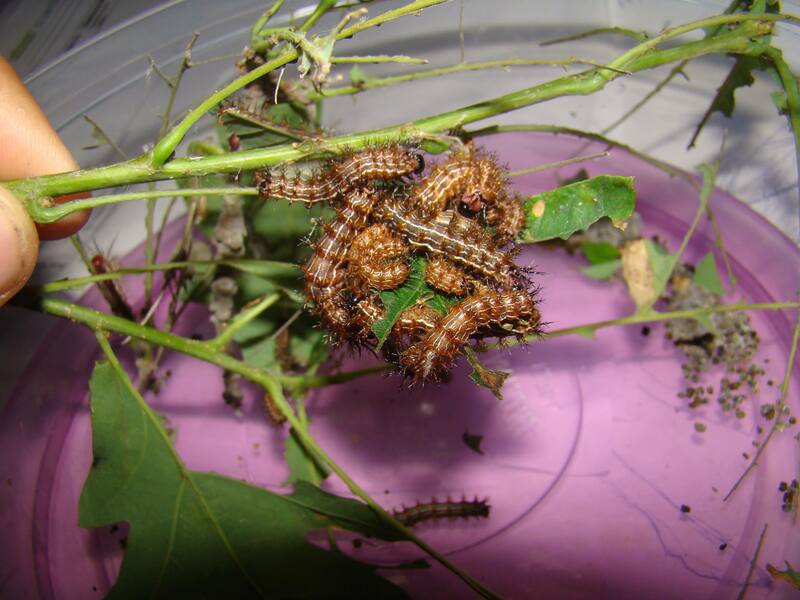 The mature caterpillars become more solitary and require more space and ventilation. They do however tolerate being reared in high densities as long as they are well ventilated to prevent infections. They will grow from egg to (pre) pupa in about 1.5 to 2 months time depending on the temperature and quality of the food plant. Adults are only recorded from May to August in Chiapas, Mexico, suggesting that they have two generations a year. Adults of the first generation hatch around May and reproduce; the resulting offspring then matures and pupates, to hatch as adults once again. The second generation may be a partial brood aswell. This means the species can potentially diapause. The pupae of Paradirphia semirosea may need to be overwintered; in this state they can take about a year to hatch. In this case they can be overwintered dry and cool (not too cold!) around 5 to 10 degrees Celcius (absolutely no frost!). 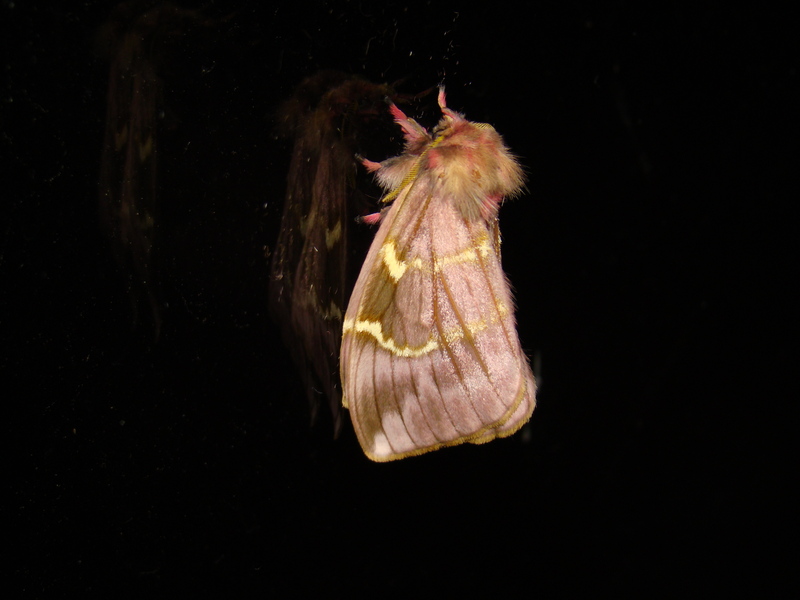 To trigger emergence, the pupae can be taken out of cold storage and can be suddenly kept warm and humid – this will trick the moths into thinking spring may have arrived and thus they will start to develop in their pupae. 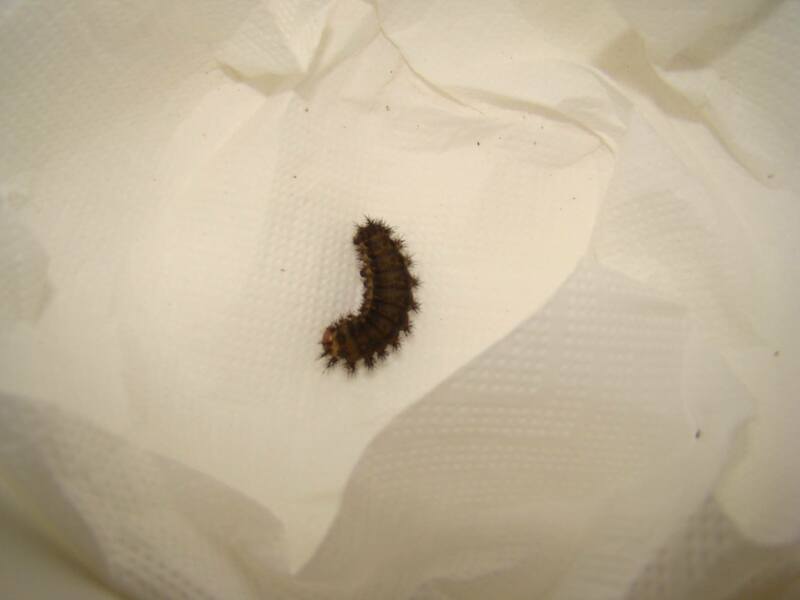 The caterpillars pupate in soil or leaf litter and will burrow instead of spinning cocoons. They can be provided tissue paper, vermiculite or leaf litter. Pairings should be easy to archieve in an airy cage. The most tricky thing is getting a pair out since the emergence time can be a little sporadic and they are short lived. The solution to this problem is to synchronise their development well by diapausing them if appropriate. 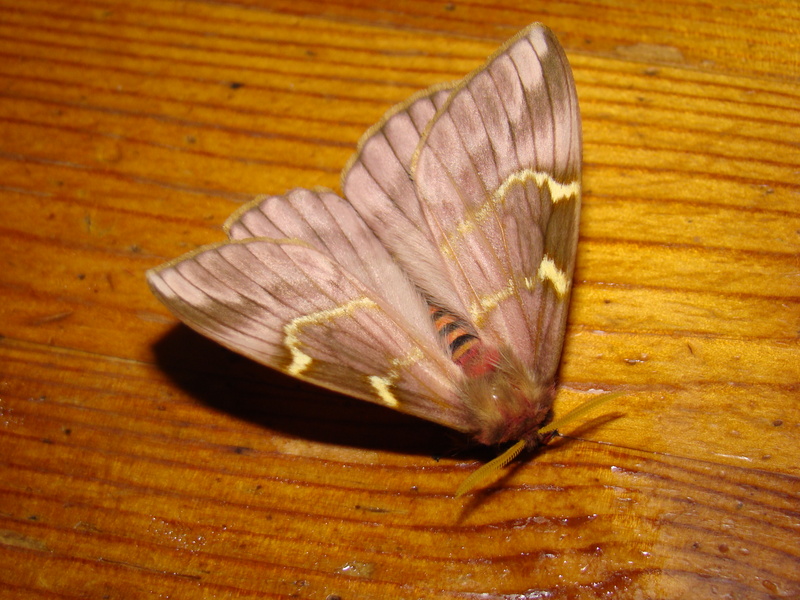 Adults are very variable and can be anything from brown to pink.